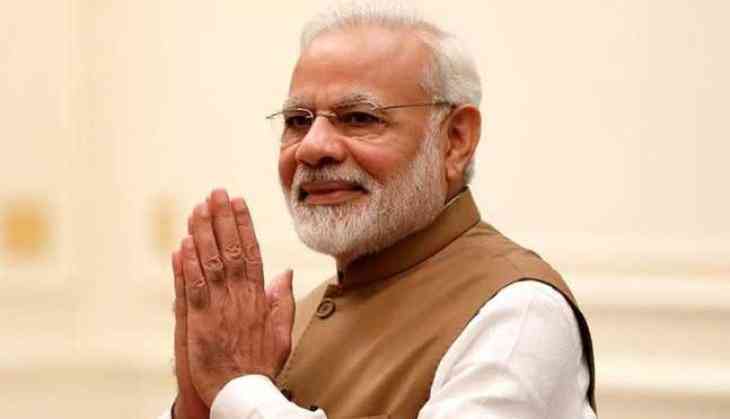 Prime Minister Narendra Modi on Tuesday extended his best wishes to all the sixteen teams participating in the 2018 Men's Hockey World Cup which is being held in Odisha. Taking to his official Twitter handle, the Prime Minister hoped that the tournament would be a delight for the sports lovers. "A warm welcome and best wishes to all teams participating in the Hockey Men's World Cup 2018, being held in Odisha. I am sure this tournament will be a treat for sports lovers and will also be an opportunity to discover India's and especially Odisha's culture. @FIH_Hockey," he wrote. Union Minister of Youth Affairs and Sports Rajyavardhan Rathore also wished all the best to the Indian hockey team. "As #HWC2018 begins, ALL THE BEST to @TheHockeyIndia! Give your best, boys! The entire country stands with you! #OdishaHockeyWCInauguration," he tweeted. The prestigious 2018 Men's Hockey World Cup is slated to begin from November 28 to December 16 at Kalinga Stadium in Bhubaneshwar, Odisha.